#24 Florida is 5.5 point favorites over #23 Tennessee in SEC play this week. The Tennessee Volunteers are currently ranked No. 23 after beginning its season 2-0 with a week 1 win over Georgia Tech and week 2 pounding of Indiana State. The Volunteers now faces its toughest challenge thus far as it travels to face SEC rival No. 24 ranked Florida. The Gators are 5.5 point favorites in a game with an over/under at a moderate 49.5 points, a reflection of respect for two defenses that will be tested this week against headier competition as these schools get into the tough SEC schedule over the upcoming weeks. While Tennessee does catch UMass next week, it follows that with No. 13 Georgia and No. 1 Alabama two weeks after that. The Volunteers have a rough 2017 schedule. The Week 1 win over Georgia Tech saw Tennessee battle back from a two-touchdown deficit to stop a 2-point conversion in the second OT, winning 42-41 over the Yellow Jackets. Quinten Dormady threw 20 of 37 for 221 yards and a pair of TDs, and the backfield rushed for 148 yards on 22 attempts with Dormady providing 13 yards on two carries and John Kelly rushing for 128 yards and four touchdowns on 19 attempts. Top target Marquez Callaway had a field day with four catches for 115 yards and two TD-receptions, including a 50-yard pass. 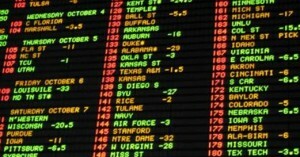 Check out our college football odds page for instant line updates on every game. Kelly caught five passes out of the backfield for 35 yards, and the Vols averaged 11.1 yards per reception on its 20 completions. The Gators secondary, however, is top notch and primed to stop Tennessee’s passing production. Last season, Florida ranked No. 2 in opponents passing yards, giving up just 148.5 per game. The secondary returns three of four starters, with cornerback Duke Dawson, and safeties Marcel Harris and Nick Washington. The Gators are a team well suited to stopping the Volunteers’ main strengths, and the Gators also return two guards and left tackle Martez Ivey. There is plenty of talent to put the clamps on John Kelly. Look for Florida to get tough defensively this week and attempt to make some plays. Dormady is not heavily mistake-prone, but he also has not faced a defense of this caliber in the 2017 season. The Michigan offense passed for 218 yards and rushed for 215, which with Ty Isaac’s 11 carries providing over half of that rushing yardage, the plan was fairly clear-cut for the Wolverines. Tennessee will try to do what it can with its talented quarterback and receivers, but Florida is too well equipped for its attack all things said. Expect the Gators to prevail by slightly more than its 5.5 favored points and cover this spread to the tune of a 7-point win. 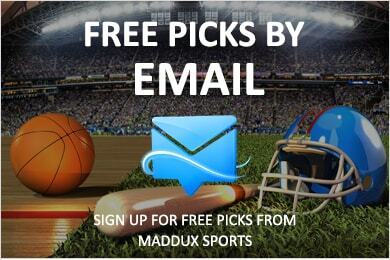 addux Sports Is Crushing The College Football Bookmakers This Year, Click Here To Start Winning Today!